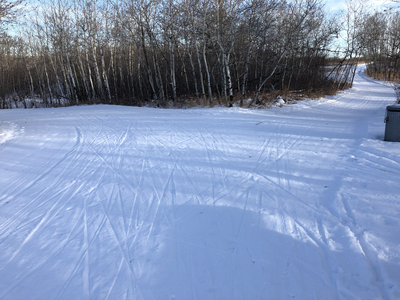 All ski trails have been groomed and trackset and are in excellent shape. Still really good snow conditions with the tracks being deep and firm and the skating lane is great. There is an ice flow to watch out for along Walter Scott trail (formerly Lakeside trail) just under the power lines. Just use caution while crossing it. Still got some snow. Tracks set on the Walter Scott trail (Lakeside) up to the telephone pole (4 km). Good for rock skis. Trails packed by skidoo. Good for rock skis, classic or skate. Trails have been packed and trackset. Conditions could best be described as fair to fair plus, with some thin spots. Considering the recent weather we're rather fortunate to have the trails as good as they are. Parks staff have done wonders with what we have. Got enough snow to do some rock skiing on the soccer fields but that's about it. It's a winter of cursed trails. We finally get groomed and tracked trails in good shape then we're hit with a wind storm that sends debris, branches and trees scattered on the trails. Trails that are through the bush have a lot of tree litter on them, the more open trials such as the soccer field loop and Walter Scott trail aren't as bad. 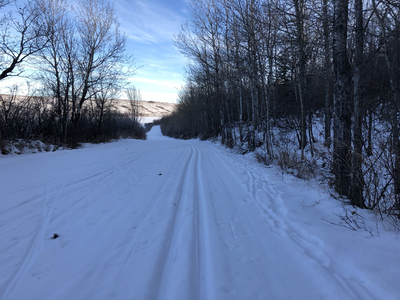 Currently a good track set along the first part of Aspen leading to the campground loop and soccer fields which have good tracks set on them. Walter Scott trail (Lakeside trail) has been renovated for skating as well there is a track set along the side. The rest of the trails have no track at present and are icy. We got some snow. Thin base, packed and good enough for rock skis ... don't use your good skis as there are rocks/branches poking through the snow in places. No tracks set (not enough snow). Tracks are freshly set and looking great. Take advantage of the trails while you can !!!! Tracks have been freshly set and are beautiful!! Great for classic and skate. Tracks are getting their final touches today for the Becky Scott Loppet Tomorrow. 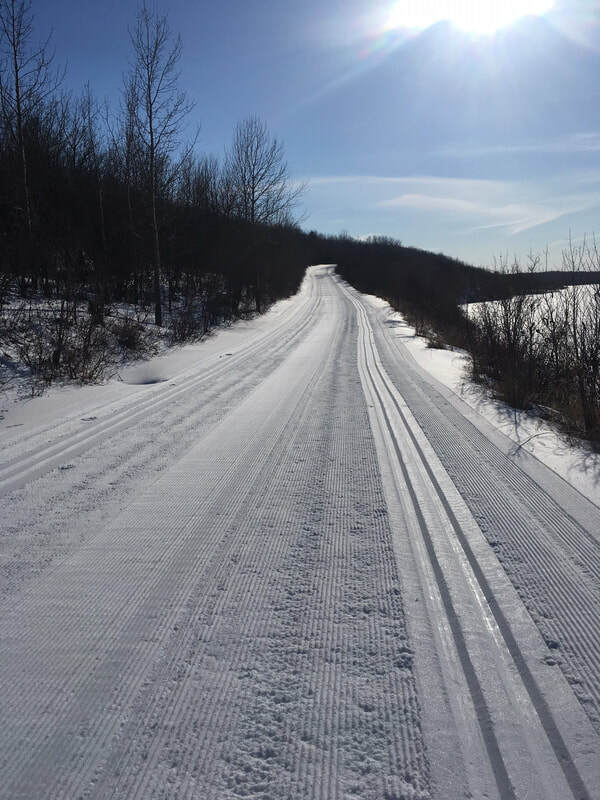 There is a good amount of snow and tracks will be set to get ready for the Becky Scott Loppet this Saturday, see home page and click here ﻿ for further information about the event. 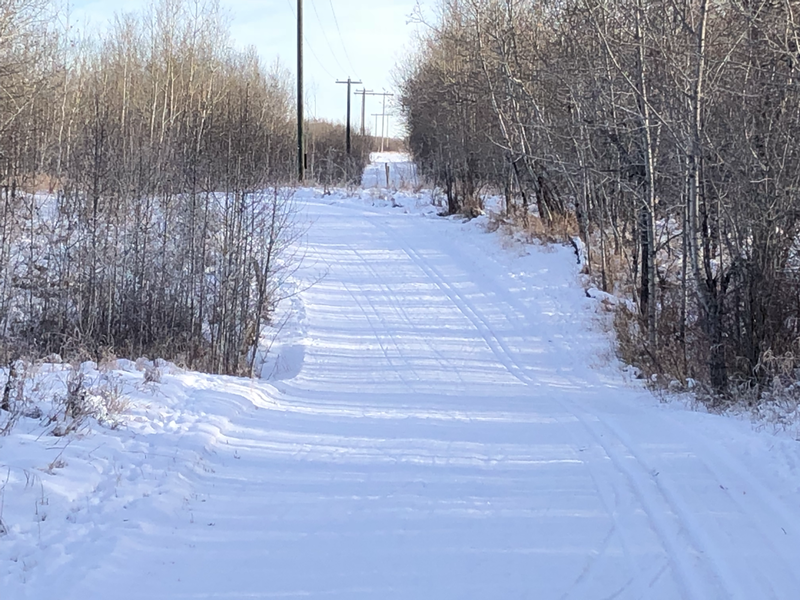 All trails have been renovated, groomed and trackset. Conditions are awesome. Still lots of snow here. 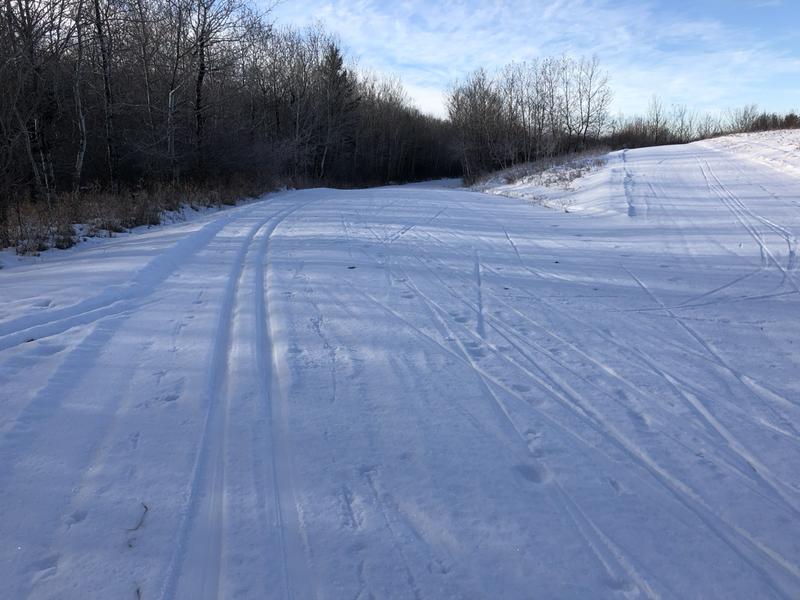 Trails are in excellent condition for both skating and classic. Tracks were set on Dec 12th. Snow is still plentiful. Thanks to the Parks staff again for turning icy trails into a spring time skiing playground. The road (Walter Scott trail) has been renovated for skating as well as a track has been set along the south side of the road. It's been groomed to the twin bridges, as well the Wildrose trail has been track set. Conditions are very good for this time of year. Other trails aren't recommend due to icy conditions and/or low snow. Also, due to the glazed track condition warmer waxes are recommended, as is walking down the road in front of the CN Station to access the Walter Scott trail. Trails are still quite skiable. Tracks are holding up but most likely klister for grip. Skating is really good along the Walter Scott trail. Trails have been groomed and track set and conditions are excellent. With the mild weather coming skiing is going to be great! All trails have been groomed and track set. Conditions are excellent. Trails are still in great shape and tracks are still firm. Some tree litter on the trails from recent winds though. After the huge winds that littered the trails with debris and branches yesterday the parks staff did an awesome job of clearing and working on the trails. All trails are groomed and track set. Conditions are excellent!